As a business analyst, you will understand the struggles of needing to access multiple data sources all at once, from excel spreadsheets, data warehouses, third-party data, cloud based data, the list goes on. And sometimes by the time it has taken to pull all the right data sources the business need could have changed. How often do you wish you could answer a question but time is a pressure? How much time do you spend collecting data instead of finding the key insights? That monthly report which takes at least a week to complete, can become something of the past and be produced in just hours with Alteryx. 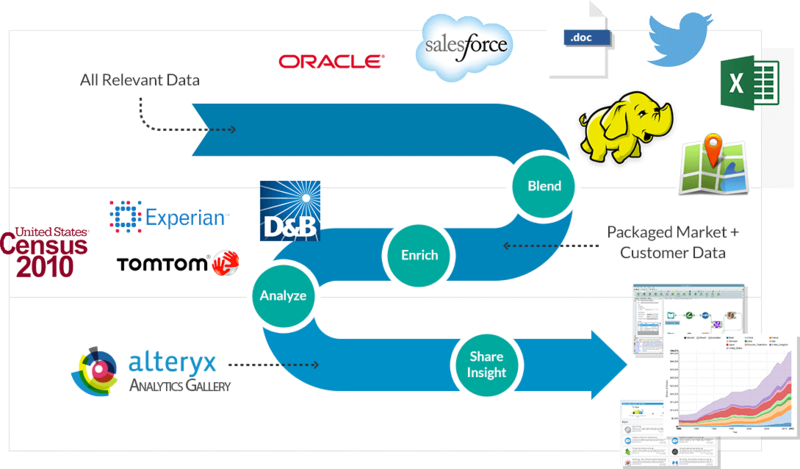 Alteryx, Inc. is the leader in self-service data analytics. Alteryx Analytics provides analysts with the unique ability to easily prep, blend, and analyse all their data using a repeatable workflow, then deploy and share analytics at scale for deeper insights in hours, not weeks. Analysts love the platform because they can connect to and cleanse data from data warehouses, cloud applications, spreadsheets, and other sources, easily join this data together, then perform analytics – predictive, statistical, and spatial – using the same intuitive user interface, without writing any code. So whether it is enriching your data with third party data for additional insight or just being able to easily join multiple sources to create an analytic dataset for your analysis then Alteryx is the tool that you need. PREP: Identifying and extracting data from the sources, cleansing it and then running a data quality check. BLEND: When data is spread across all different sources and files, analysts need to be able to bring them all in to one tool to create connections to complete the picture. ANALYSE: This can happen within the tool for a specific business purpose or push to a tool to be consumed wider. If you want to save time and start analysing your data instead of just collecting it, then get in touch for a demo with Alteryx. We also offer a free trial period so you can see for yourself the value that it will bring to your business.